When a company changes from one auditor to another, does the timing matter for stock market investors? If the company chooses to engage a new auditor at the beginning of the year, does it convey different information that if the switch was made later in the year? Government regulators can use the answers to the questions I’m investigating to scrutinize the companies that switch from one auditor to another in an unusual timeframe. A company, knowing the consequences of their decision-making process, may be able to time their auditor switches to avoid scrutiny or to maintain a stable stock price. I wrote a novel in Chinese, which was published eight years ago. 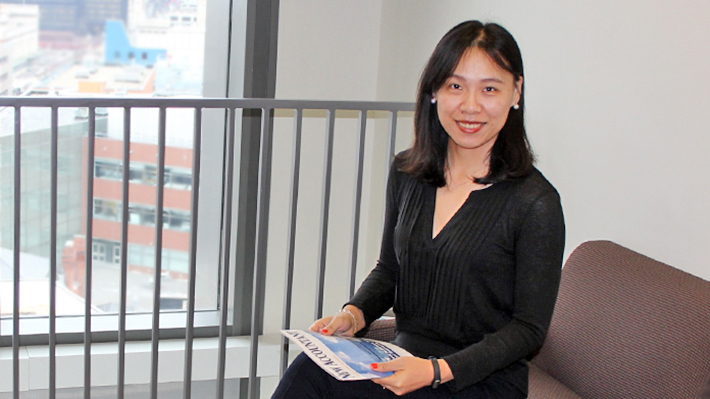 Professor Daniel Korschun interviews PhD in Business Candidate Yaou Zhou about her doctoral research.